The Beglaris moved into the house at 909 Greentree Road in 1995, and in 1998 started to pull permits for a substantial remodel of their home. According to their attorney, Mark Baker, some of , the Beglari’s neighbors asked to see the plans for the remodel. Even though the Beglaris had proper permits, five of their neighbors lodged a complaint with the Los Angeles Department of Building and Safety (LADBS), alleging that the house exceeded a height of 36 feet from grade; the front yard depth was not properly measured; and that a yard variance granted in 1955 precluded the remodel design. These five neighbors were no strangers to the legal issues. They consisted of attorney Ronald Oster; attorney John Rosenfeld; and retired Superior Court Judge David Horwitz and his wife; and retired Superior Court Judge Diana Wheatley. When the LADBS concluded that the Beglaris’ permits were properly issued, the neighbors appealed the case to the Department of City Planning. However, the City Zoning Administrator sided with the LADBS, and ended the appeal. The neighbors persevered. In 2002, they filed suit in Los Angeles Superior Court to challenge the ruling by the Department of City Planning. They dropped two of their complaints, targeting only on the front-yard setback issue. In October 2003, the trial court ruled in favor of the neighbors, and ordered the City to revoke all of the building permits for the structure, including the certificate of occupancy. The Beglaries and the City of Los Angeles subsequently appealed. However, in May 2005, the Court of Appeal upheld the ruling, finding that the newly-remodeled house encroached onto the front-yard setback by 14 feet, in violation of Los Angeles Municipal Code section 12.07.01.C.1. After the Court of Appeal decision, the City revoked all building permits and the certificate of occupancy for 909 Greentree, leaving the Belgaris with an un-permitted home. However, the Belgaris did not sit idly by; instead, they hatched a plan to get their permits back. In 2004, they purchased another property, right down the street, at 921 Greentree Road. Then, they obtained a permit for and constructed a small canopy on the front of 921 Greentree. The new canopy changed the front-yard setback calculation for the entire block, including for their house at 909 Greentree. Based on this altered front-yard setback calculation, the Belgaris’ home at 909 Greentree satisfied the LAMC requirements. In February 2006, the City reinstated the building permits and certificate of occupancy for 909 Greentree. 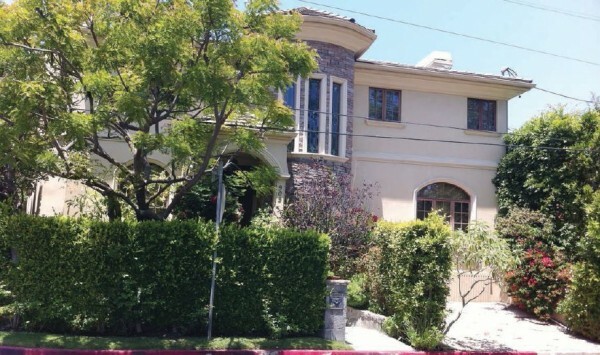 The neighbors responded by filing another lawsuit, this time against the City of Los Angeles and the LADBS general manager, for reissuing the permits in violation of the court’s prior order. The superior court issued an order finding that the City and the Department of Building and Safety were in contempt for violation of that order, and ordered them to appear for appear at an arraignment and trial setting. However, the case never got to trial. Instead, in February 2007, the City Council approved a $425,000 settlement for the five neighbor-plaintiffs. The Belgaris’ attorney asked the City not to settle, accusing the neighbors of “intimidating and bullying the City” into paying into paying what amounts to blood money.” Nonetheless, due to the high potential damages exposure and potential criminal contempt proceedings, the City Attorney recommended that the City settle the dispute by paying the plaintiffs’ attorney fees, which at the time totaled $425,000. The neighbors accepted the settlement; but Belgari house still stands. Since 2007, the litigation between the City and Belgaris has continued. The complaining neighbors apparently lost their wherewithal to continue to litigate. The City apparently seems satisfied with the result being that the house does not have a Certificate of Occupancy. The question is whether the result would have been different if the complaining neighbors had sued directly based on Gov’t Code section 36900 instead of proceeding by writ action against the City. This entry was posted in Court Cases, Local Laws & Ordinances, Neighbor v. Neighbor and tagged Beglari Plaintiffs, Beglaries, City of Los Angeles, Department of City Planning, Gov't Code section 36900, LADBS, LAMC, LAMC requirements, Los Angeles building codes, Los Angeles Department of Building and Safety, Los Angeles Municipal Code section 12.07.01.C.1., Neighbor v. Neighbor. Bookmark the permalink.